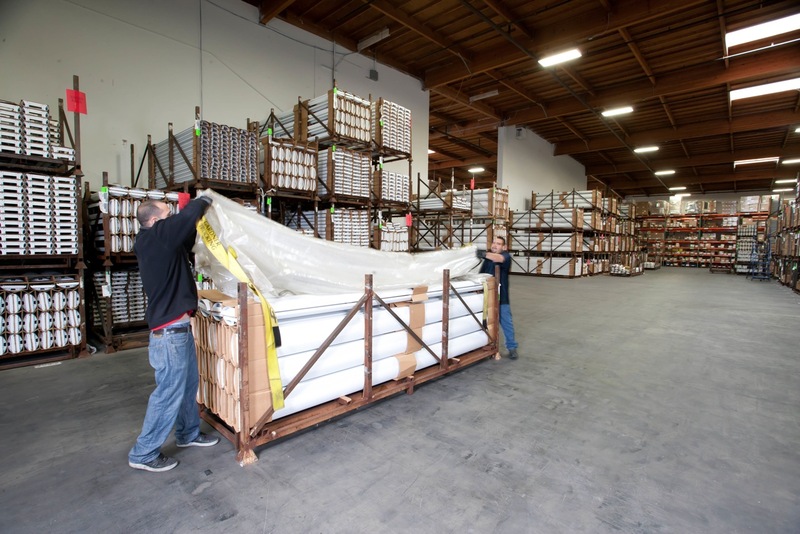 Before: Recurring purchase of wooden pallets, cardboard boxes, and shrink wrap to distribute a high volume lighting component. 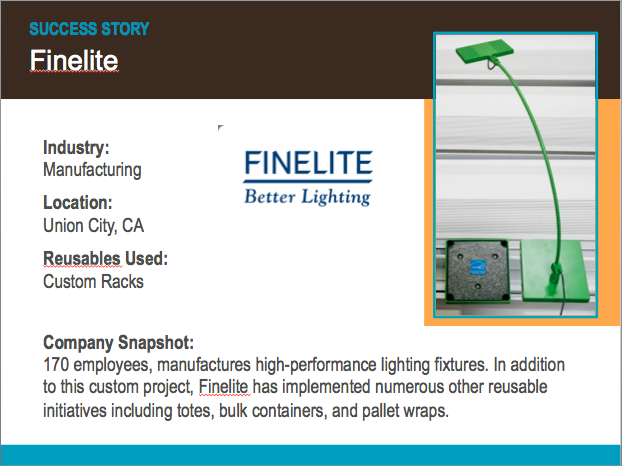 After: Designed and purchased a custom built, reusable rack system, saving money on avoided packaging purchases, preventing waste, and improving material handling. 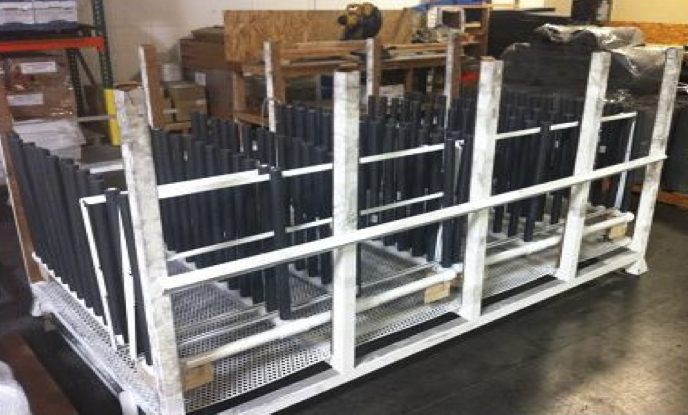 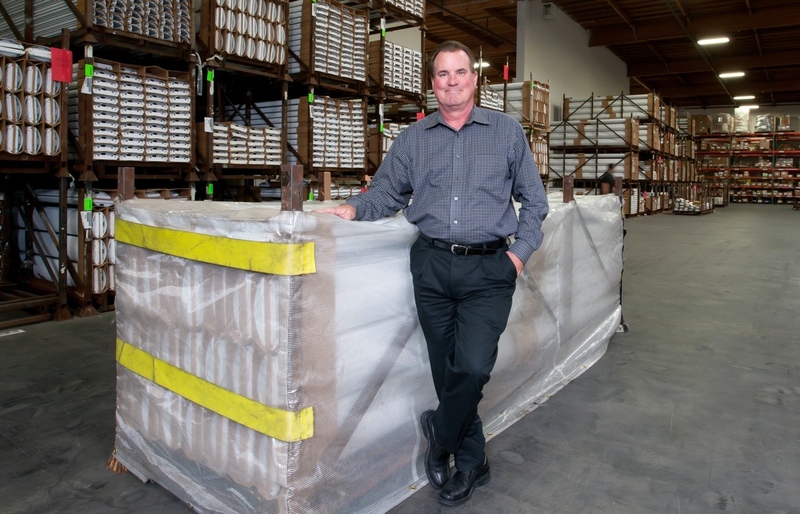 Before: Recurring shipments of HPR doors stacked on racks and secured with multiple layers of plastic film. 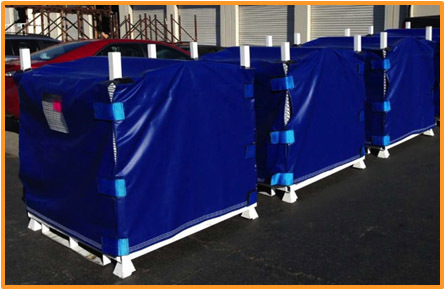 After: Purchased custom-made reusable rack covers for HPR door delivery, saving money, preventing waste, and improving product protection.